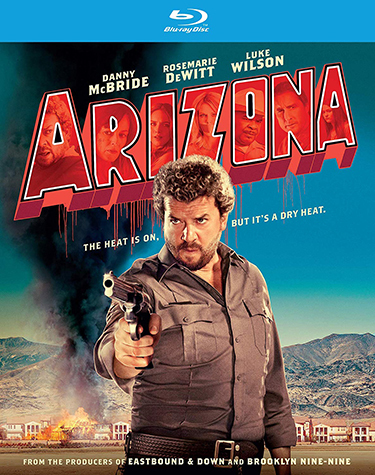 RLJE Films (NASDAQ: RLJE) will release the action/comedy ARIZONA on DVD, Blu-ray and Ultra High-Definition 4K/Blu-ray combo on October 16, 2018. 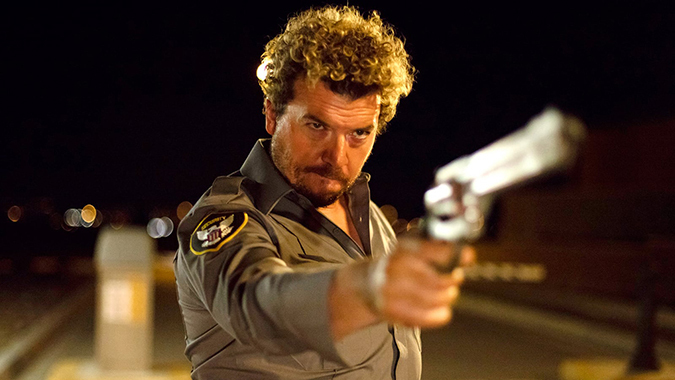 From Imperative Entertainment and the producers of “Eastbound & Down” and “Brooklyn Nine-Nine,” ARIZONA was the directorial debut of Jonathan Watson (“Vice Principals,” “Eastbound & Down”), from a script by Luke Del Tredici (“Brooklyn Nine-Nine,” “30 Rock”). The film stars Danny McBride (Pineapple Express, “Vice Principals”), Rosemarie DeWitt (La La Land, Rachel Getting Married), Luke Wilson (Old School, The Royal Tenenbaums), Elizabeth Gillies (“Dynasty,” “Victorious”), Kaitlin Olson (“It’s Always Sunny in Philadelphia,” Finding Dory) and David Alan Grier (“In Living Color,” “The Carmichael Show”). RLJE Films will release ARIZONA on DVD, Blu-ray and Ultra High-Definition 4K/Blu-ray combo. In ARIZONA, Cassie (DeWitt) is a real estate agent and single mom struggling to keep it all together during the housing crisis of 2009. Her problems go from bad to worse when disgruntled client Sonny (McBride) violently confronts Cassie’s boss and then kidnaps Cassie – making one outrageously bad, and bloody, decision after another. Things completely spiral out of control in this explosive action comedy.